RALEIGH -- North Carolina's highest court on Friday again upheld maps drawn by Republicans for the General Assembly and congressional district, months after the U.S. Supreme Court told state judges to review boundaries through the lens of its Alabama redistricting decision. A majority on the state Supreme Court reaffirmed its December 2014 decision upholding the boundaries, finding that they still withstood the scrutiny of federal and state constitutional and redistricting guidelines. This latest legal inspection also included the U.S. Supreme Court's majority opinion in March that Alabama lawmakers had relied too much on "mechanical" numerical percentages while drawing legislative districts in which blacks comprised a majority of the population. 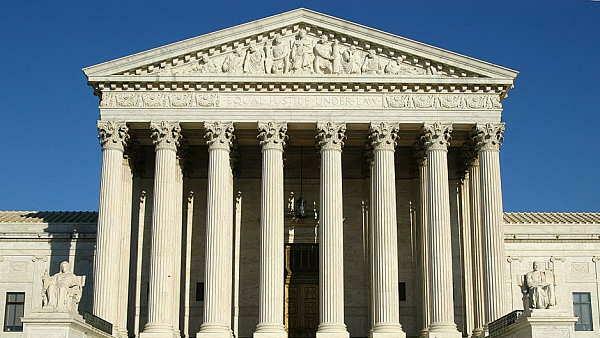 The federal justices threw out the first state Supreme Court ruling and told the state court to try again. Friday's ruling still keeps in place the boundaries approved by the GOP-led legislature in 2011 and used in the 2012 and 2014 elections. They have helped Republicans expand and sustain their majorities in the state House and Senate and hold 10 of the 13 seats in North Carolina's congressional delegation. The ruling also makes it more likely that 2016 primary elections set for March 15 will be held under the same boundaries. Two other redistricting lawsuits are pending in federal courts. The ruling "once again makes clear the General Assembly protected the rights of voters and established voting boundaries that are fair and legal," redistricting leaders Rep. David Lewis, R-Harnett, and Sen. Bob Rucho, R-Mecklenburg, said in a news release. Democrat Margaret Dickson of Fayetteville, a former lawmaker and lead plaintiff in the case, said a petition will be filed quickly with the U.S. Supreme Court to re-hear the case. Friday's ruling reflects "continued misunderstanding of the facts in this case and the law," Dickson said. Dickson is one of dozens of Democratic voters who with election reform and civil rights groups challenged North Carolina's maps. They said the Alabama decision affirmed their arguments that GOP mapmakers created too many unnecessary and irregularly-shaped majority-black districts that amounted to racial gerrymandering. They say surrounding districts became more white and Republican. Looking again at the 2013 ruling of a panel of three North Carolina trial court judges who held a trial on about 30 of the districts and upheld the maps, Associate Justice Paul Newby wrote the lines still didn't violate the rights of those who sued. In a dissenting opinion, Associate Justice Cheri Beasley wrote her colleagues should have sent the case back to the three-judge panel to reconsider the matter with the Alabama decision in hand. She said that case affirms that North Carolina lawmakers were wrong to stick with the principle that areas with significant black populations had to be placed in districts with a voting-age population of more than 50 percent. Those who sued said black voters already were able under previous maps to choose their preferred candidates in districts where the black vote was under 50 percent. "For any of these errors, this court would do well to vacate and remand rather than prematurely affirm a defective districting plan," Beasley wrote, joined in the opinion by Associate Justices Robin Hudson and Sam Ervin IV. Attorneys for the state and legislators have argued race wasn't the predominant factor in drawing the maps. They also argue previous Supreme Court cases allowed them to draw majority-black districts as a way to defend themselves against voter discrimination claims. Like the December 2014 rulings, the justices split Friday along political lines in the opinions that covered 129 pages. Ervin, Hudson and Beasley are all registered Democrats. Newby and the other justices making up the majority - Mark Martin, Bob Edmunds and Barbara Jackson - are registered Republicans.